If you are a business owner and want to attract local customers, then the first step to this desire is to focus on local SEO. As a marketer, you must be introduced to Search Engine Optimization and its importance to your business. With the internet allowing billions of people from all over the globe to gather information and avail services for online businesses, getting your website acquire a high search engine ranking is essential to remain competitive in the market. But it is a great challenge for your business to secure a higher ranking in Google based on one location. Companies that enjoy a good reputation within their communities and use local search marketing strategies often have an advantage over their competitors. As the brand develops a reputable image, a sense of trust also builds up and local search can work wonders for the company. From on-page optimization to social media involvement to inbound link building, here is a guide for how you can optimize your website for to dominate local search presence. Relevant local content: Many multi location businesses often face a challenge of creating unique content for the landing page for each location. Identical content is often bad for search engines, so make sure to create unique content desired location and mention nearby landmarks, bus routes, subways, etc. in the content. Title and meta tags: Always use keywords optimized Title Tags that are unique to each location and include state, city, zip code in the meta data. Photos and videos: Using local photos often increase visitor’s engagement and also encourage interaction. This will reduce the bounce rates and make your site more professional. Optimized URL: Creating optimized URLs for your local landing page will help the search engines to find your website easily. Google local map: Instead of using a generic Google map, having the address of your business, embed your business’s Google Local Map to dominate local search listing. The citation is a vital factor in the local search ranking algorithm and its number, accuracy and consistency and authoritativeness has a great impact. While building citations, it is recommended to start with data aggregators like Localeze, Acxiom, Infogroup and etc, and then focus on some of the major local directories like Yahoo, Bing, Google, Yelp, FourSquare and etc. If you want to capture the local market, then it is very important to maintain a better reputation of your business by consistently satisfying the customers. Any website that has strong positive customer reviews and testimonials will successfully attain a higher ranking in local SERPs. Once all the other points are considered, you can strengthen your online local presence by building one interactive and descriptive Google+ Business Page or location specific pages. But this always depends on how much time and resource you have to make sure that you get a relevant following for that particular page. 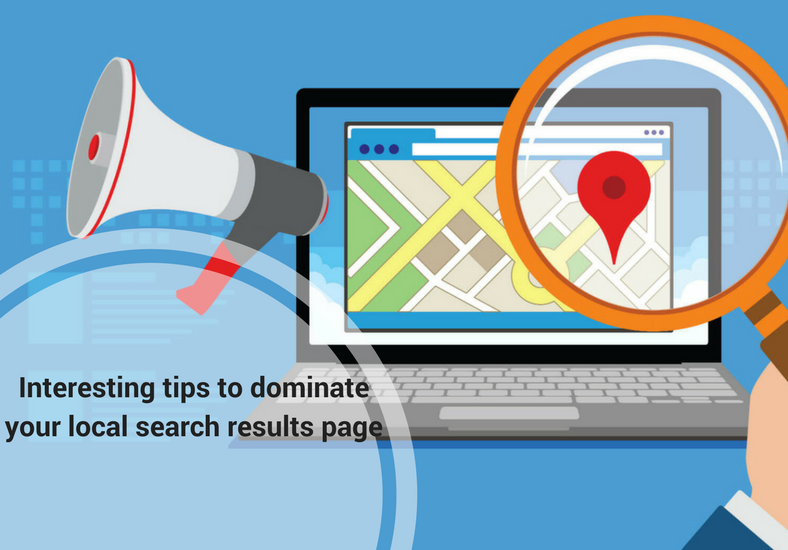 So, here we have covered the basics of how you can dominate your local search rankings for businesses with multiple locations. And this proven local search marketing strategy will surely help you dominate the local search engine results, drive local traffic to your site, build an online reputation and finally generate local sales for your business.